Unlike many other development environments, you don't need to purchase any expensive hardware or software to start. Android app can develop on a Mac, Windows PC, or Linux computer. You only need an Android SDK, which is freely available as Android Studio and an Android device to test in real time. Java is the basic building block of Android app development. 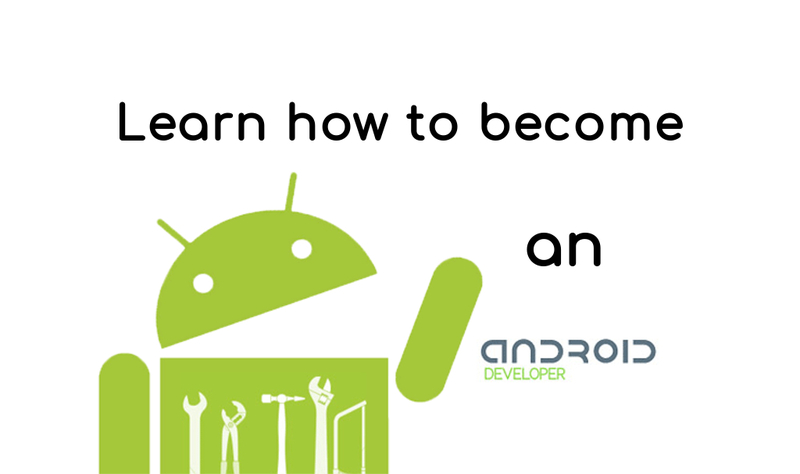 To become an Android developer, you’ll need to be comfortable with Java and object oriented programming. If you already know Java programming then start learn how to implement in the Android development process. For the newbies, start learn how to code in Java. Recently, Google announced Kotlin as an official programming language for Android development. It's an another great language for developing Android applications. It's bringing all of the advantages of Java to the Android platform without introducing any new restrictions. So, time to learn Kotlin. XML plays an important role. It used to create the design structure like layouts and parsing data feeds from the internet.. The basic knowledge of XML syntax will help you in your journey to become an Android developer. Database is the most important part of an Android app. You'll also need to learn the basics of SQL databases in order to implement within Android apps. Mobile apps are in higher demand than ever, which makes the current period as an incredible time to become an Android developer. So, good luck!